was born on March 3 in 1967. He successfully finished his apprenticeship as a tax accountant in 1989. 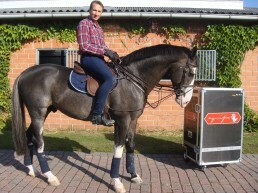 Since 1993 he works in Ehlersdorf as a trainer for sport horses and international show jumper. In addition to that he trades horses worldwide.